Water-related risks impact development opportunities and can trap communities in a downward spiral of economic decline. 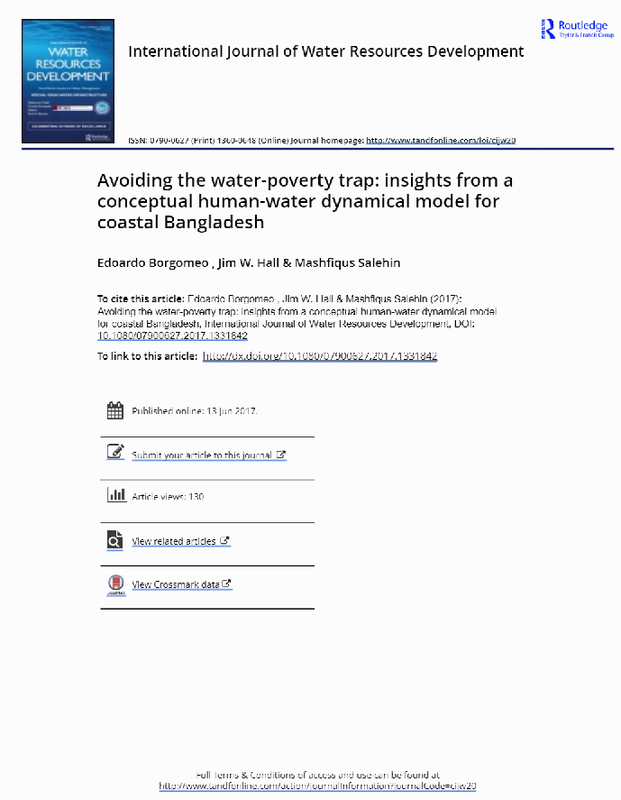 In this paper, the dynamic relationship between water related risks and economic outcomes for an embanked area in coastal Bangladesh is conceptualized. The interaction between flood events, salinity, deteriorating and poorly maintained water infrastructure, agricultural production and income is modelled. The model is used to test the effect of improvements in the reliability, operation and maintenance of the water infrastructure on agricultural incomes and assets. Results indicate that interventions can have non-marginal impacts on indicators of welfare, switching the system dynamic from a poverty trap into one of growth. Click on the button below to view the article as published in the International Journal of Water Resources Development. You can also click here access the Accepted Author Manuscript.